Oh. my. gosh. This engagement shoot was like a fairy tale come true! 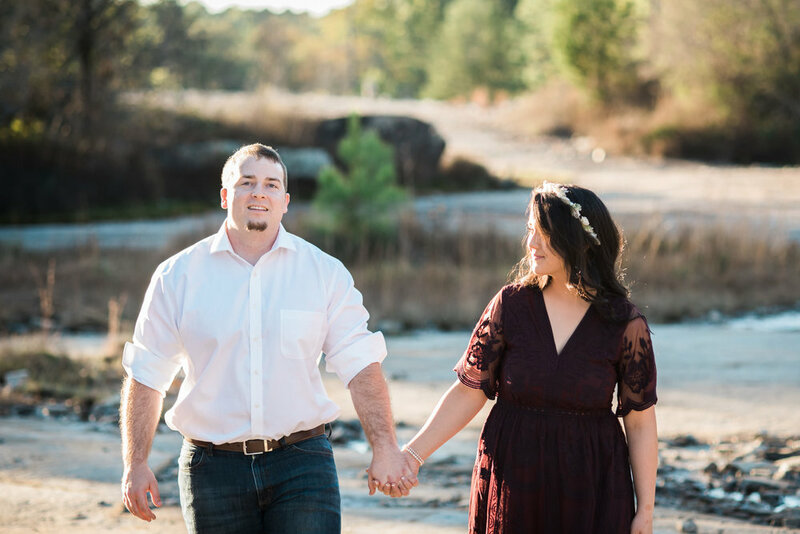 Clay & Monica wanted to have their sunset engagement session at Arabia Mountain Park in Lithonia, Georgia and I am so glad that they introduced me to this amazing place! While capturing their love for each other, it felt like we were transported to another world. Monica’s stunning dress & flower crown enhanced her natural beauty and turned her into a princess. Their March 23rd wedding will be the perfect start to spring wedding season!